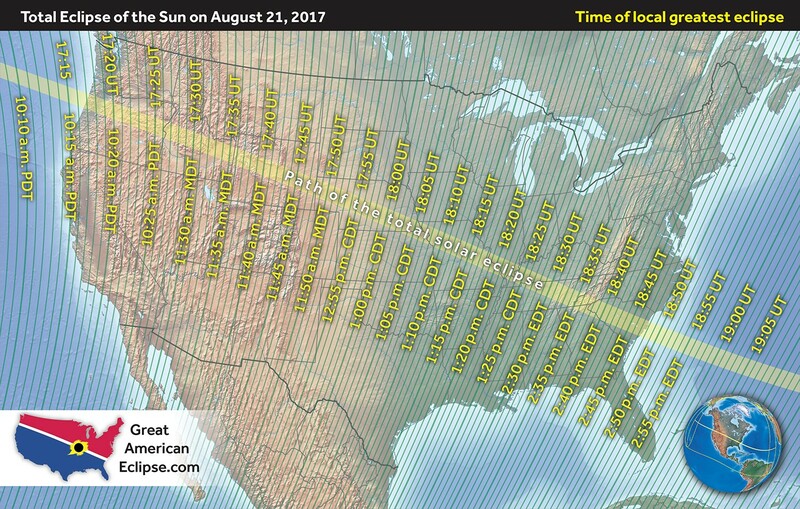 On August 21, 2017 North America will experience our first total solar eclipse in 38 years, and it’s an event you’ll definitely do not want to miss. A solar eclipse occurs when the moon passes in front of the sun and blocks its light from view either partially or totally. The eclipse will be visible from a narrow corridor through the United States. The longest duration of totality will be 2 minutes 41.6 seconds at 37°35′0″N 89°7′0″W in Giant City State Park just south of Carbondale, Illinois and the greatest extent will be at 36°58′0″N 87°40′18″W near Cerulean, Kentucky between Hopkinsville and Princeton, Kentucky. 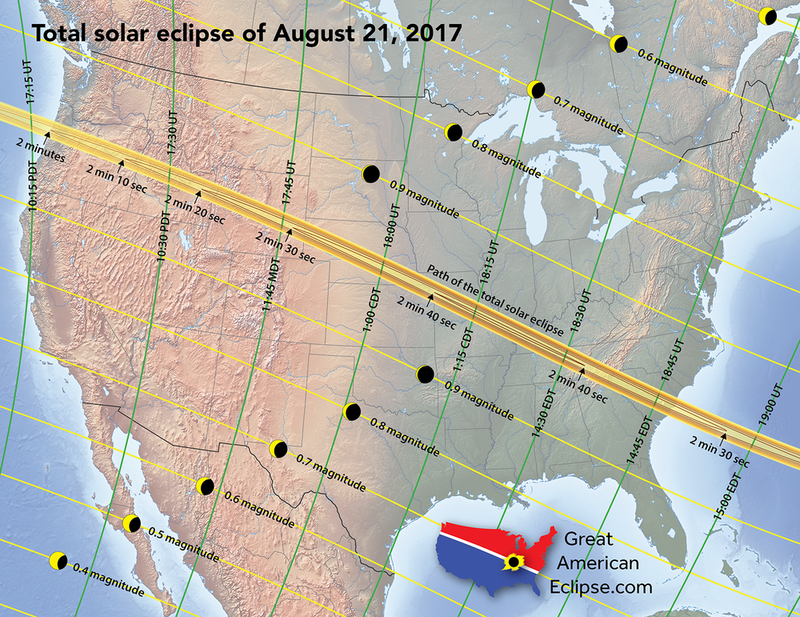 It will be the first total solar eclipse visible from the southeastern United States since the solar eclipse of March 7, 1970. 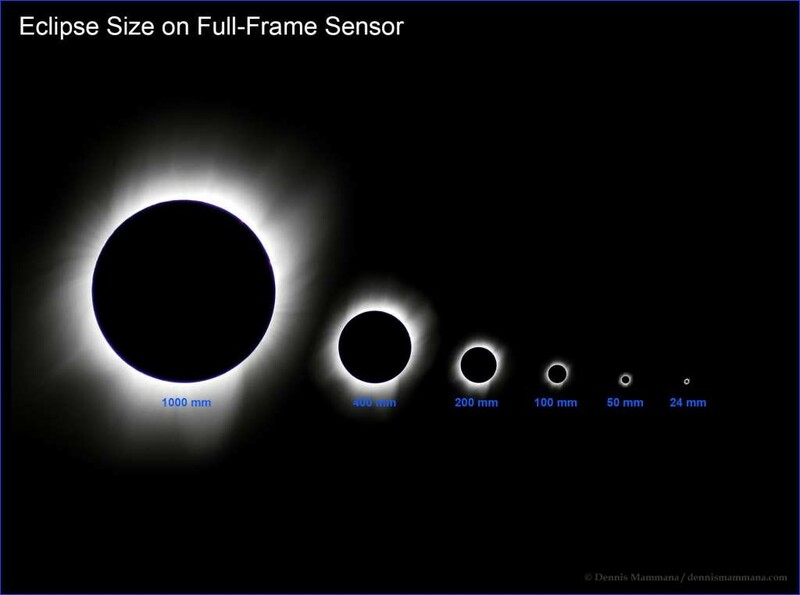 How best to safely photograph the solar eclipse? The first thing to remember is that you’re photographing the sun. It is hundreds of thousands of times brighter than the full moon—even in a deep partially-eclipsed phase. No camera can handle this intense light without a properly designed solar filter. Photographing through neutral density or polarizing filters, smoked glass or other homemade filters may be safe for your camera, but not your eyes. These dim the light and create the illusion of safety, but do not block the ultraviolet and infrared radiation that can cause permanent eye damage. Do not use any filter unless the manufacturer explicitly states that it is safe for both the camera and the eye. Before the big day, assemble and test everything—camera, lens, tripod, remote, filters, etc.—by photographing the sun well before the trip. This will give you experience for shooting the partial phases, since your settings will be the same. The first thing you’ll notice is how small the sun appears on your frame. To get the most out of the eclipse you’ll need a telephoto lens to produce larger images—or attach your camera onto a small solar telescope. What the sun and the moon look like on a full frame camera with different zoom lenses. Know your camera: Have your user manual ready to look up features you may not commonly use, and become thoroughly familiar with how to operate your camera. Focus: Before the eclipse begins, disable auto-focus and focus your lens to infinity (∞). To do so, aim toward a distant daylit landscape and, zooming the image larger on the LCD screen, focus it manually. Then use gaffer’s tape to gently tape the focus barrel so it won’t move. Other settings: If you’ll be using a tripod, be sure you turn off your image stabilization. And always disable your flash… it will do no good during the eclipse and will ruin others’ enjoyment and photography of the rare event. Keep your ISO relatively low, and don’t be afraid to stop down the lens (use a larger f stop) to insure sharper images. If you’re lucky enough to be at where a full eclipse will be, bring along another camera (or use your smartphone) and make sure you grab a photo during the totality of the environment. You will see gorgeous sunset colors and a few of the brighter stars and planets in the sky. 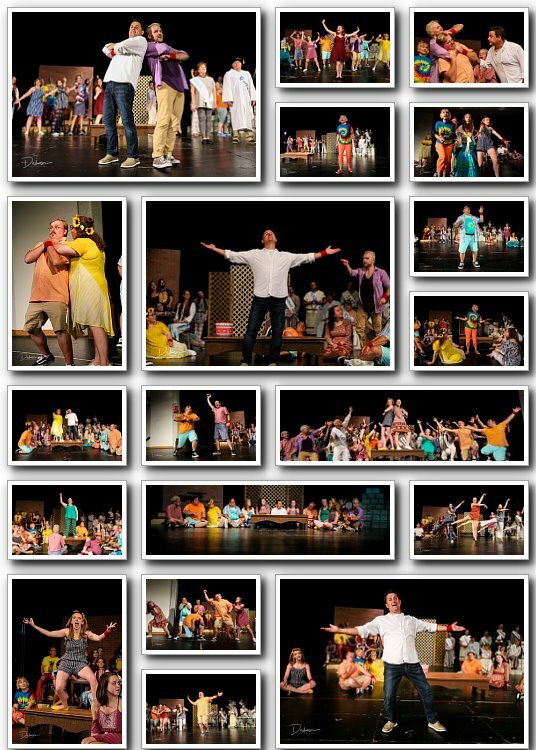 And exactly when on the 21st will this take place? Another map!